But the history of what we know of as Chateau Leoville Las Cases does not begin there. We need to go back to 1638 when Jean de Moytie, a member of the Bordeaux Parliament owned a vineyard. Moytie called it “Mont-Moytie. Mont-Moytie was one of the first chateaux in the Medoc to produce wine along with Chateau Margaux and La Tour de Saint-Lambert, which we know of today as Chateau Latour. The domaine remained in the same family for almost 100 years. Through marriage, the estate ended up as part of the de Gascq family. Alexandre de Gascq renamed Mont-Moytie as Leoville, or Lionville. The massive Leoville estate in Saint Julien was at the forefront of Bordeaux vineyard management at the time. Some of their ideas seemed odd at the time, but today they are still widely in use. They changed the varieties in the vineyards to smaller berries, they trellised the rows with pinewood. They began aging the wine in oak barrels, which they kept clean using a sulfur solution. While we take this for granted today, in those days, they were wild ideas! By the time Alexandre de Gascq died, with his steady purchasing of Bordeaux vineyard land, Leoville was one of the biggest vineyards in Bordeaux at more than 300 hectares! Following the French Revolution, a portion of the gigantic Leoville estate was sold. Those Saint Julien vineyards became Leoville Barton. The property was divided in two in 1840. 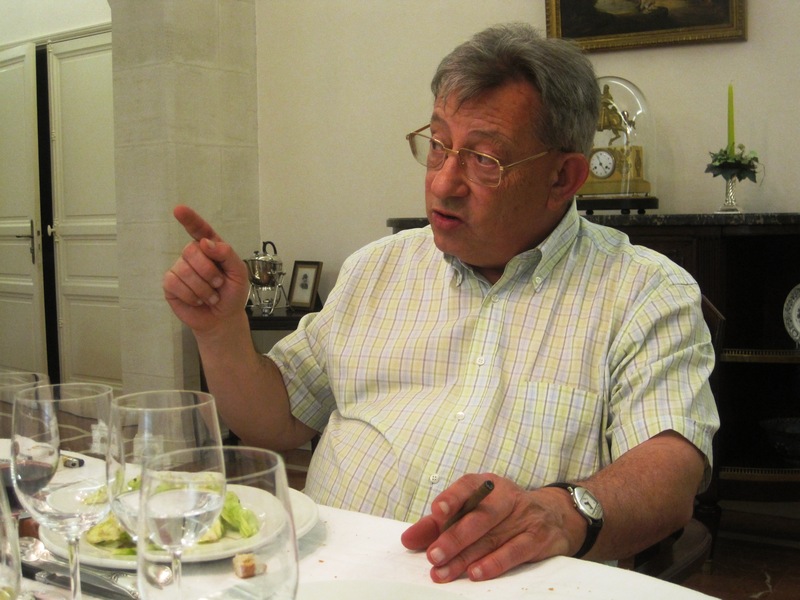 Pierre Jean de Lascases, the oldest son received a share, which became Chateau Leoville Las Cases. At this point in time, now we have the birth of all three Leoville estates: Chateau Leoville Las Cases, Chateau Leoville Barton and Chateau Leoville Poyferre. Although the wines of Poyferre were sold under the name of Baron de Poyferre in those days. While the vineyards and business operations of both Left Bank chateaux, Leoville Las Cases and Leoville Poyferre were separated, the buildings remained connected, just as they are today. In fact, the parking lot is a common area used by both chateaux! You park in either one, to visit the other. This is a unique arrangement in Bordeaux, making it very easy to visit both chateaux, one after the other. At the end of the 19th century, Theophile Skawinski purchased Leoville Las Cases. At the time, Theophile Skawinski was the managing director of Chateau Leoville Cases. Skawinski passed his shares to Andre Delon, which is the start of the Delon family ownership in Bordeaux. 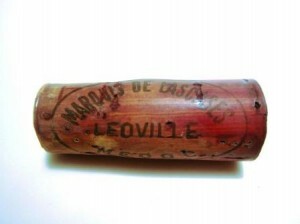 At about the same time, Leoville Las Cases earns credit for creating one of the first official, “Second” Bordeaux wines with Clos du Marquis, which made its debut in 1902. Chateau Leoville Las Cases has remained a family owned vineyard. Michel Delon managed the estate from 1976, through 2000. It was under the direction of Michel Delon that Leoville Las Cases rebounded and once again started producing wines worthy of its pedigree. After the passing of Michel Delon in 2000, his son, Jean Hubert Delon took over managing the property and has continued increasing the quality of the wines here. The Delon family, headed by Jean Hubert Delon and his sister, Genevieve d’Alton still own and manage Chateau Leoville Las Cases today. The Delon family also own Chateau Nenin in Pomerol as well as Chateau Potensac located well north of Leoville Las Cases, in the Medoc appellation. Starting with the 2007 vintage, the Delon’s began producing a true second wine, Petit Lion du Marquis de Las Cases. While many consumers refer to Clos du Marquis as the second wine of Leoville las Cases, it is not correct to think of it in those terms. The reason is, the fruit source comes from different vines and terroir than what is used to produce Chateau Leoville Las Cases. Because Clos du Marquis comes from the same parcels every vintage, the chateau prefers to think of Clos du Marquis as its own, unique, Saint Julien wine. Starting with the 2015 vintage, Petit Lion du Marquis de Las Cases changed the design of the label which features a lion staring through the gates of Leoville Las Cases. The source of the fruit for Petit Lion du Marquis de Las Cases comes from grapes from the young vines of the Leoville Las Cases vineyards. However, both terroirs and all three wines are produced by the same team and receive similar treatment in the vineyards and cellar. In an effort to continue their efforts to make the best wine possible, for the 2015 vintage, Leoville Las Cases introduced a second wine for Clos du Marquis called La Petite Marquis. The still, large 98 hectare vineyard of Leoville Las Cases does not have the size it did in its youth. But it remains a very large Bordeaux vineyard. It is the largest vineyard of all three Leoville estates. The heart of their vineyard is known as the Grand Enclos. That walled in parcel is situated in the north of Saint Julien, bordering Pauillac. In fact, it is located next door to Chateau Latour on the north side. Only a very small stream, “The Juillac” separates the 2 vineyards. The Grand Enclos parcel is actually 2, small hills, which are close to the Gironde. These 2 small hills, with close to 50 hectares of vines reach 15 meters at their peak. Here, you find deep gravel soils placed on top of clay and sand with a south eastern exposure. On the hills, you find the Cabernet Sauvignon planted, with some Merlot growing at the bottom of the slopes. While the Cabernet vines faces southeast, to allow the Merlot ripen later, those vines have more of a north east exposure. In total, you can divide the vineyard of Leoville Las Cases into 7 main blocks with 125 separate parcels. At Leoville Las Cases, the wine making remains traditional. 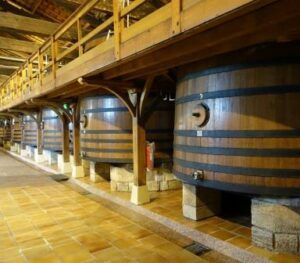 Grapes are fermented in a combination of temperature controlled wood, concrete, or stainless steel vats of varying size. They have 8, oak vats that also range in size from 176 hectoliters up to 290 hectoliters per vat. The oak vats also vary in age, with the oldest vats dating back close to 50 years! The oak tanks are always reserved for vinification for Chateau Leoville Las Cases. The cement vats are used to produce the all the other wines from the property. Malolactic fermentation takes place in tank. The wine of Chateau Leoville Las Cases is aged in various percentages of new, French oak barrels. The exact percentage of new oak barrels used varies from year to year, depending on the style and character of the vintage. However, most recent vintages of Chateau Leoville Las Cases are aged in about 90% new, French oak barrels for an average of 18 months before bottling. Starting in 1987, Leoville Las Cases began employing a state of the art, reverse osmosis machine to help extract excess water from the grape must. This technique is considered controversial by some people. However today, that technology is used by many of the top Bordea, 2014, 2015, 2016 and other top years. Those are all great vintages for Leoville Las Cases. Each of those vintages are also better than previous famous years like 1982. According to Jean Hubert Delon, reverse osmosis is only used in select vintages. Even though Leoville Las Cases is one of the most traditionally styled wines in the region, they have a long history of being among the first to try new technologies. For an early example, Leoville Las Cases was one of the first Bordeaux producers to begin rinsing their oak barrels with a sulfur solution, thus protecting their wine from spoiling during transport or aging. The best vintages of Chateau Leoville Las Cases are: 2018, 2017, 2016, 2015, 2014, 2012, 2010, 2009, 2006, 2005, 2000, 1996, 1990, 1986, 1985 and 1982. 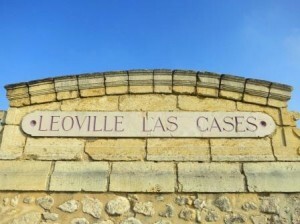 Very old vintages of Leoville Las Cases have not performed as well as I would have liked. Purchasing older vintages is a potentially risky endeavor. 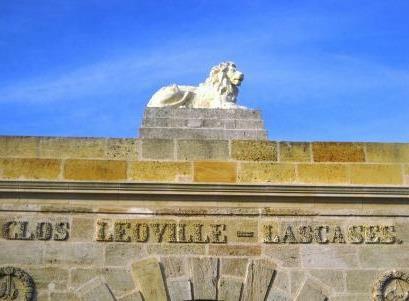 Leoville Las Cases produces a structured, firm, austere, powerful, classic style of Bordeaux wine. 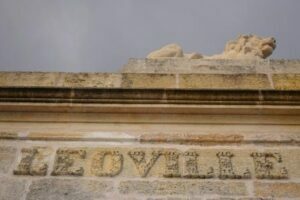 In the top vintages, buyers should be aware that Leoville Las Cases takes 15 to 20 or more years to develop and shed its tannic structure in the top vintages. At that point in time, Leoville Las Cases will display cedar, cassis, dark berries, truffle and tobacco notes in a style that often resembles a First Growth Pauillac. Yet, it is uniquely Chateau Leoville Las Cases. Leoville Las Cases is a traditional Bordeaux in many ways. The cellar master, Bruno Rolland is the third generation of his family to work as the cellar master at the chateau. However, while they are you extremely traditional in most things, in one instance, Leoville Las Cases did not follow tradition. In 1988, the chateau withdrew from the Conseil des Grands Crus Classes and does not participate in any of their events or functions. They are the only Classified estate to do so. Because the 1855 Classification of the Medoc is a part of French law, they cannot withdraw from the classification, even if they desired. Leoville Las Cases produces 3 additional wines. To set the record straight again, Clos du Marquis is not a second wine. Clos du Marquis is views as its own brand, because the vines used to produce that wine come from specific parcels in the large Leoville Las Cases vineyard. Those vines are further west than for example, their Grand Enclos parcel. However, starting with the 2009 vintage, there is an official second wine for Leoville Las Cases, Le Petit Lion du Marquis de Las Cases. Back to Clos du Marquis. Starting with the 2015 vintage, Clos du Marquis has its own second wine, La Petite Marquise. The production of each of these wines average between: 9,000 to 15,000 cases for Leoville Las Cases, 4,000 to 8,000 cases for Clos du Marquis and 4,000 to 8,000 cases for Le Petit Lion. The production of any of those wines cann vary widely, depending on the character and quality of the vintage and the yields. Chateau Leoville Las Cases is not a wine to drink on the young side. The wine is usually far too tannic, powerful and reserved during its youth. Young vintages can be decanted for an average of 3-6 hours, give or take. This allows the wine to soften and open its perfume. Older vintages might need very little decanting, just enough to remove the sediment. Chateau Leoville Las Cases is usually better with at least 15 years of bottle age. Of course that can vary slightly, depending on the vintage character. Chateau Latour offers its best drinking and should reach peak maturity between 20-50 years of age after the vintage. Leoville Las Cases is best served at 15.5 degrees Celsius, 60 degrees Fahrenheit. The cool, almost cellar temperature gives the wine more freshness and lift. Chateau Leoville Las Cases is best served with all types of classic meat dishes, veal, pork, beef, lamb, duck, game, roast chicken, roasted, braised and grilled dishes. Chateau Leoville Las Cases is a perfect match with Asian dishes, hearty fish courses like tuna, mushrooms and pasta as well as cheese. It is not often you can use the word fruity to describe Leoville Las Cases but it is certainly fitting for 2017. Yes, the wine is fruity! And in addition you’ll find complexities of licorice, cigar box and lead pencil with tannins so refined it’s almost precocious. The fruit is airy and bright with a sweetness that carries through from start to finish. This is the perfect vintage to enjoy while waiting for the bigger, more tannic vintages to come around. The wine was made from a blend of 79% Cabernet Sauvignon, 11% Cabernet Franc and 10% Merlot, reaching 13.28% alcohol with a pH of 3.72. The harvest took place from September 15 to October 4 and the wine was made from 60% of the harvest.It is not often you can use the word fruity to describe Leoville Las Cases but it is certainly fitting for 2017. Yes, the wine is fruity! And in addition you’ll find complexities of licorice, cigar box and lead pencil with tannins so refined it’s almost precocious. The fruit is airy and bright with a sweetness that carries through from start to finish. This is the perfect vintage to enjoy while waiting for the bigger, more tannic vintages to come around.The wine was made from a blend of 79% Cabernet Sauvignon, 11% Cabernet Franc and 10% Merlot, reaching 13.28% alcohol with a pH of 3.72. The harvest took place from September 15 to October 4 and the wine was made from 60% of the harvest. Flowers and raspberries with tobacco and kiss of oak get the party going. On the palate, the wine is nimble, fresh and fruity with a forward demeanor. This will be fun to drink early in life. And, in case you were counting, this year marks the 10th anniversary for this enjoyable wine. Cedar, oak, spice and fresh, red fruits with just a bit of soft tannin in the background, give this wine character and structure. Two or three years will be more than ample to bring out the secondary nuances and notch this up to full potential. Forward in style, this wine is all about the core of sugar dusted, freshly plucked cherries and charmingly glib tannins. Medium bodied, it will drink quite well upon release. This powerful elixir has peppery cassis, tobacco, cedar, blackberry and forest scents that cannot be avoided. Powerful, concentrated, mouth filling and very tannic, this could be a modern-day version of what the 1986 Bordeaux was supposed to be. The wine is elongated, regal and driven, stern yet refined. With this much tannin and structure, I'm sure at least 20 years in the cellar are needed before this really starts to shine. Produced from a blend 75% Cabernet Sauvignon, 14% Merlot and 6% Cabernet Franc, the wine reached 13.6% alcohol with a pH of 3.66. The harvest took place from September 30 to October 16. Granddad’s tobacco-scented sweater caught in a volcanic eruption of plum and syrupy black currants is the first thing you’ll sense before you align with the gentle, ready tannins and the boatloads of thirst-quenching cassis. This wine has excellent character and ample fresh fruit in the finish. From a blend of 73% Cabernet Sauvignon, 24% Merlot and 3% Cabernet Franc, the wine reached 13.55% alcohol and will be aged in 50% new French oak barrels. Using 54% Cabernet Sauvignon and 38% Merlot with 8% Cabernet Franc, this is almost a reversal of the blend created for 2015. Floral and cassis aromas, good depth of color with juicy, sweet, fresh with slightly strict Cabernet Sauvignon notes easily accessible. Classic in style, this will be even better with a few years of age. The wine is 13.4% alcohol. A medium bodied, fresh, crisp, classic expression of Cabernet Sauvignon with a fresh finish of berries and cocoa, this wine gives us an entry-level sampling of the wines of Leoville Las Cases. You can drink this on release or age it a year or two. Only the second time this wine has been produced, Jean Hubert Delon considers Clos du Marquis a ‘unique’ wine, not a second wine, as it comes from its own specific terroir. Regardless of how you look at it, adding a second wine -- or a ‘unique’ wine -- only improves the top wine, which is the goal. Dark in color and fruit, this is powerful, concentrated, firm, elegant and really packs a punch. The deep black fruits are soft. They fill your palate with gushing fruit. Here you find a massive wall of tannin, but the tannins are so ripe and polished, you almost do not notice them. The finish is long, lingering and expansive. Give this at least a decade or more before popping a cork. Forward, generous, easy to drink charmer that is medium bodied, with a juicy, plum, cassis and olive tapenade character. On the herbaceous, leafy side, you also find tobacco, cedar and a bit of cocoa to round things out. A medium bodied, fresh, crisp, classic expression of Cabernet Sauvignon, with sweet, ripe, bright fruits in the finish. Earthy, red berries, with a crisp character are what you find here. The wine is juicy, has some tannins to resolve and will be just fine to drink in a few years. .
One of the top wines from the 2014 vintage, the color shows a deep ruby hue. Aromatically you find cassis, lead pencil and forest floor notes already. On the palate, the full bodied wine delivers round tannins, fresh red fruits and a nice bite of juicy cassis in the end note. The freshness, with a leafy component is a really nice sensation in the finish. For a good quality vintage of Leoville Las Cases, this will drink well relatively young, meaning that perhaps just a decade or slightly more will be ample time for the wine to open and offer its complexities. Tobacco and forest floor notes are out in front. Medium/full bodied, with fresh, sweet, ripe red berries and spice, the acidity gives this the perfect amount of lift on the palate. The fruit is juicy, peppery and fresh, Give this 3-5 years for full maturity, or drink it young for its vibrancy. Medium/full bodied, with a sweet, round, fresh, cherry and cassis profile, the wine is already charming and fun to drink. Elegant is used in a variety of ways with tasting notes in either a complimentary sense, or in a pejorative manner. With 2013 Leoville Las Cases, it's a positive trait as Leoville Las Cases is not usually a wine that can be enjoyed before it's 10th birthday. With the 2013, the fruits are ripe, present, elegant and even soft, as are the tannins. The wine is fresh, clean and correct. If you're looking for an LLC to enjoy in its youth, while waiting for the more powerful, tannic years to come around, this is the vintage. There is good freshness and spice to the red fruits and herbs. The wine shows soft tannins and an elegant finish which tastes and feels good on the palate. This is not a wine to lay down. Instead, it is a wine to enjoy in its youth for its forward, youthful qualities. Fresh, spicy, red fruits complicated with tobacco notes, tannins that are close to being resolved and a medium/full bodied palate presence that will be fine to drink young. A year or two in the cellar could add some additional complexities. Tobacco, cedar wood, blackberries and fresh herbs create the nose. On the palate, the wine delivers a classic blast of fresh, concentrated, cassis, salty, mineral driven tannins and a chewy, long, cassis filled finish. This will be better with a decade of age. Wet earth, cedar and tobacco on the nose, with present, but manageable tannins and fresh cassis in the finish. Give this a few years to develop even more charm. Campfire, strawberry and cassis on the nose, with a blast of fresh, chewy, red fruits in the finish. Big, powerful, concentrated and enough of a serious structure to age, the wine is deep, long and clearly, one of the top wines from the Medoc. Surprisingly good, this medium bodied wine offers soft tannins, fresh black cherries, tobacco and earthy characteristics. Forward in style, the wine is already approachable. Closing down, this is going to need extensive cellaring to display its ample character. This wine is concentrated and filled with layers of perfectly ripe, berries. The tannins are polished, the acidity keeps it fresh, the texture is refined, the fruit is regal. With a good depth of color, the wine pops with earth, tobacco, blackberries, smoke, cocoa, cigar box, coffee and cedar chest aromas. On the palate, the wine is powerful, rich and concentrated, yet, balanced and harmonious, long and deep. The tannins are ripe, leaving you with a fresh, fruit filled finish that remains for at least 50 seconds. However, patience is going to be required as Leoville Las Cases is one of the longest lived wines in all of Bordeaux and this tannic vintage will demand quite a bit of cellar time before it really comes around. Deep forest aromas, kirsch and blackberry scents open to a medium/full bodied with charm, elegance, balance and a long fruit filled finish. As this still sells for a fair price, it’s well worth finding some and laying it down. Forest floor, leaves, cedar, cassis and fresh cherry notes work well with the polished sweet, mélange of cherries and wild strawberry that washes over your palate. You can drink this now, or give it a few years of age. This is an outstanding value Bordeaux wine. Very deep ruby color with cigar box, tobacco, truffle, espresso bean, crème de cassis, spice box and smoke in the nose. This massive, powerful, concentrated, St. Julien wine is filled with fresh ripe, juicy berries, polished, ripe tannins, dark chocolate and blackberries. The finish is long, clean, fresh and pure. Built to age, while this will drink at an earlier age than most vintages of Leoville Las Cases, it will not be as much fun as many 2009 Bordeaux wines to taste young. Gravel, forest floor and blackberry scents lead to a rich, soft, round, fresh, cassis and black cherry filled wine. From a blend of 70% Cabernet Sauvignon, 20% Merlot, 8% Cabernet Franc and 2% Petit Verdot, which reached 13.8% alcohol, this will give a lot of more expensive classified Bordeaux wines a run for the money in blind tastings. Opening with an earthy, cassis and forest filled perfume, this forward, round textured wine is filled with ripe, crunchy cassis and cherries. The wine was produced from an assemblage of 71% Merlot and 29% Cabernet Sauvignon which reached 13.8% alcohol. This is the true second wine of Leoville Las Cases. Drink this young, or over the next 10-12 years. It's a true Bordeaux value wine. Already showing secondary nuances of olives, herbs, truffle, cedar chest, lead pencil and barbecue smoke make the nose. The wine is full bodied, firm, tannic, classically styled and still youthful. Another 5-10 years will bring the wine more softness and development. Earthy in nature, it is easy to find the truffle, cigar box, tobacco, ash and wet earth, along with the juicy cassis. One of the deeper wines of the vintage, the wine ends with peppery, fresh cassis and sandy tannins. This could improve for a few years, but it is drinking quite well today. The wine was made blending 82% Cabernet Sauvignon, 10% Cabernet Franc and 8% Petit Verdot. Fully developed, with a strong truffle and tobacco essence, the wines shows its red fruit character nicely. This is drinking at peak today. If you have a bottle, pull a cork, as it is not going to get better. The wine was made blending 58% Cabernet Sauvignon, 35% Merlot, 5% Cabernet Franc and 2% Petit Verdot. Powerful, mouth filling, tannic and concentrated, most of this wine is being held back in reserve, waiting for the day when the tannins are resolved, the secondary notes can jump to the forefront and the wine softens its muscular style. There is no denying its quality, but it's equally hard to deny its drinkability at 10 years of age. There is a good sense of purity of fruit that really stays with you behind the massive wall of creamy tannins. But its going to take at least a decade, and probably longer to breach that wall. The blend of 85% Cabernet Sauvignon, 14.5% Merlot and the rest made from Cabernet Franc creates a deep colored wine. With extended coaxing, cedar, lead pencil, cassis, tobacco and forest floor aromas come alive. Powerful, tannic, concentrated and backwards, this lassic and classy Bordeaux demands another decade or longer before it's civilized. This is best purchased or cellared by very patient Leoville Las Cases fans. Showing secondary notes of olive tapenade, cedar, cigar wrapper and juicy cassis, while firm in character, the wine can be enjoyed today with an hour or two of decanting. This is a super wine, that in time, should go up in score. But patience is needed here. Decanted 4 hours, that was not enough to tame the strict tannins. Still, it was impossible not to enjoy the perfectly ripe, regal, red and black fruits, intensity, length and concentration found here. This is was the older British writers called good breed. I get their point, even if the term is archaic. All that being said, perhaps, this will be ready between 2025-2030 for the start of its long, 100 year life. Deep ruby in color, with just a bit of lightening on the color, the wine is big, powerful and concentrated. Everything is balance. The ample level of tannins are ripe, the fruit is fresh. The fruit really lingers on your palate, leaving you with a finish that remains for 50 seconds or more that sings with fresh, ripe cassis and spicy blackberries. This needs at least another decade, or more in the cellar. But even now, it’s easy to see the high level of quality in the wine here. At close to 8 years of age, this looks and feels like an infant. And for Leoville Las Cases it is. Tobacco, cassis, forest floor, blackberry, coffee and earthy aromas open to a powerful, full bodied, tannic wine with polished tannins and a long, sweet, fresh, mouth filling finish with a beautiful, purity of fruit essence. Give it at least a decade before popping a bottle. I would think the score should improve with time. Experienced tasters know, Leoville Las Cases demands more time than most wines to come around. Forest floor and cedar chest notes are easy to find. On the palate, a generous dose of ripe cassis and black cherries is young, yet approachable, due to the high quality of the tannins. Dark in color, tobacco, truffle, blackberry, cassis, oak and black cherry scents lead to a full bodied, concentrated wine that in any blind tasting would crush several famous Classified Bordeaux wines. Powerful, rich and intense, this round textured wine fills your mouth with layers if sweet, ripe, juicy, Cabernet Sauvignon. Give it a few more years (as it's still tight at the moment) and start drinking it in 2015 and over the 10-15 years. Still showing nice depth of color, with wet earth, ocean, truffle, blackberry and campfire embers are found with only a little effort. The tannins have softened, leaving you with a classically styled, mouthful of black cherry liqueur and fennel that shifts from black fruit to red fruit and back to black again. Drink now, or age it 5-8 years for more softness and complexity. Due to the vintage, this is probably well priced in the marketplace today. Classic is good sense, with its structure, tannin and wealth of dark fruit, earth, stone, cedar and cassis. Powerful, fresh and backward, at least 5 more years should add more complexity and soften the wine's texture. Cedar wood, earth, tobacco and some cassis are found in this developed perfume. On the palate, the wine serves up soft and cassis and black cherry notes. This is drinking in the sweet spot today. It might improve, but it’s not a wine to age for decades, I’d opt to start drinking it now. Here, the normally reserved, tannic, long aging wine is open. The wealth of ripe, fresh, and never hot or jammy deep fruits offers volume, length and character. Just starting to pop, you can expect even more secondary development over the next several years. Ruby in color with lightening at the edges, a mature nose of smoke, truffle, herbs and roasted blackberries open to a rapidly developing vintage of Leoville Las Cases. There is a roasted, herb quality to the dark, red fruits. Coupled with soft, opulent textures displaying the patina of age, you end up with an enjoyable to drink today, and over the next 5-10 years. However, this is not a wine to lay down for decades. Slightly disappointing, there was a rusticity in the tannins that left a dry sensation. The aromatics were enticing with their rich, licorice, cassis, tobacco and earthy profile. Perhaps it's just the stage of development the wine is going through. Another 5 years might help. But I have my doubts. Served blind, I guessed 2000 Left Bank Bordeaux of a much lower Growth level. I was surprised to find this was 2003 Leoville Las Cases. From one of the lowest yields ever recorded at Leoville Las Cases, 21.2 hectoliters per hectare, this assemblage of 70.2% Cabernet Sauvignon, 17.2% Merlot, and 12.6% Cabernet Franc produced a St. Julien wine with a complex perfume filled with fresh roasted coffee beans, creme de cassis, black cherries, minerals, spice, floral, cigar box and earthy scents. Fleshy, round and rich, but lacking the power and concentration found in the best vintages. This wine offers a lot of charm, ending with a plush, ripe, black raspberry, spice and mocha finsh. Earth, cigar box, roasted berries, fennel, smoke and mushroom scents create the perfume. The wine is developed and does not require additional aging. Medium/full bodied and polished in texture, the wine ends with sweet cherries. From a blend of 66.7% Cabernet Sauvignon, 14.5% Merlot, 13.9% Cabernet Franc and 4.5 Petit Verdot, this still youthful, tannic wine is full bodied, concentrated and powerful. Lots of black fruits, earth, forest floor and tobacco here, with a long, deep, fruit filled finish. Give it a few more years. From an assemblage of 69% Cabernet Sauvignon, 19.5% Merlot and 9.5 Cabernet Franc, this classic St. Julien wine is already approachable. Fresh earth, black cherry, cassis, smoke, stone, tobacco leaf and lead pencil scents produce a complex perfume. Soft in texture, but not showing the levels of concentration found in more exalted vintages, at ten years of age, the wine is starting to offer pleasure. Give it 3-4 more years and it should deliver additional complexity. This could be one of the few great vintages of Leoville Las Cases that drinks well young. It's already starting to offer up blackberry, cassis, earth and tobacco notes. The wine is deep, complex, classy and classic. Tasted blind, it showed great. With a few more years, it will be even better! Cedar wood, gravel, cassis, licorice, cocoa, tobacco, blackberry and smoke aromatics lead to a big, dense, masculine, powerful, tannic, pure expression of Cabernet Sauvignon. Still tight, tannic and compacted, it demands at least another decade of sleep. This kicks into high gear with a perfume of truffle, smoke, tobacco, cassis, spice and blackberry. This very concentrated, dense, full bodied wine is still tannic and demands another 10-15 years before opening up. One of the few vintages of Leoville Las Cases that drinks well young, this medium bodied, bright, cranberry, cassis, earth and tobacco scented wine is on the lean, tannic side of the style range. Bright, cranberry and cassis fruits are in abundance. There is a tart quality to the fruit that is exacerbated by a touch of green flavors. The tannins are noticeable. The wine is beefy, fresh and masculine in nature. Clearly, there is a lot of raw material in this wine. But it's not charming and lacks elegance. Perhaps time will be generous with this wine. It cannot hurt. But I would not bet the ranch on it. Fans of what’s considered traditional, old school, tannic Bordeaux wine will like this a lot more than I did. If you have 4 hours of decanting time available, this is a stunning bottle of LLC. It's rich, concentrated, mouth filling, long, intense and packed with character. The wine is powerful, yet not over overwhelming. The fruit is ripe, and tannins and polished, but firm. This finish must last close to 50 seconds. With another decade, this could easily hit 100 Pts. First Growth in quality is the first and most accurate descriptor that comes to mind. Power, precision, finesse, purity of fruit, coupled with a regal quality to the tannins, textures and fruit are what you'll find. Concentrated, but not the least bit heavy, this is a stunner. Perhaps the wine was decanted about 20 minutes before serving. This is just sublime! If you want to experience Leoville Las Cases at its best, this is the vintage to open today. God, this is off the hook! Popped and poured, which you would think is a crime against wine, I was shocked at how fabulous this was to taste. Intensity and concentration, with a depth of flavor miles long, the level of tannin is high, but the tannins are refined, ripe, and long. The wine is fresh, balanced and really coats your taste buds. You can pop a cork today and enjoy the ride, 2 hours of air is suggested. or, wait another decade. Either way, you'll enjoy this stunner. A great vintage of Leoville Las Cases that will mature in my lifetime, who would have thunk it? If y want to know what Leoville Las Cases is all about, this could be the vintage to buy. Severe, tannic, stoic, masculine, deep, concentated, backward and young, this bottle was tight, even after 3 hours of decanting. Other bottles have given up more of their charms. Clearly, this is a great wine. It has the structure, fruit, balance and depth needed to age and develop. However, it also needs time, perhaps 10-15 more years. Served blind, clearly this was a great Bordeaux from the Medoc. On the nose, tobacco, earth, cassis, wood and forest floor, on the palate, the wine was full bodied, concentrated and refined. However, this bottle was more advanced than other recently tasted examples. It was more open, less tannic and showed slightly more red fruits and signs of maturity than it should have. That being said, 1996 is one of the top vintages of Leoville Las Cases. It's a better wine than the much more expensive 1982. This massive Leoville Las Cases was so powerful, tannic, structured, and young, served double blind, I was sure it was a 2005 Pauillac. Packed with layers of fruit, there is so much tannin, it was not much fun to drink, even after the wine had been decanted for several hours. This is a stunning wine, but it demands at least 10-15 more years before it comes together and softens. Served double blind, my first introduction to the wine was the strong perfume that was filled with crushed stone, tobacco, cassis, smoke, earth and blackberry. Powerful, intense, full bodied, tannic and deep, this Bordeaux wine combined concentration and finesse for a wine of First Growth quality. While the wine had ample stuffing and structure to age for generations, the tannins were so ripe and round, this was already approachable. Classy and stylish, with a long, pure, cassis filled finish, this is now my favorite vintage of Leoville Las Cases. A clear winner in this mixed vintage, the wine is concentrated, deep and fresh, with a ripe, blackberry essence. Full bodied and long, the wine is young, yet, with the ripeness in the tannins and the fruit, it's already enjoyable in your glass. In time, another 10 years or so, this will be even better! Not the tannic beast i was expecting. There is a nice sense of purity in the cassis core of fruit. Full bodied and concentrated, the tannins leave a refined, but dusty impression. Another 5 years will make this an even better tasting experience. More open and softer in texture than expected, the wine offered scents of sweet, ripe black fruit, cassis, cigar tobacco, earth, stone, black raspberry and spice aromatics. Combining power with grace, round tannins, and ripe fruit, while still young, this Bordeaux wine will be approachable early for a young vintage of Leoville Las Cases. Firm, or perhaps austere is a better term for its character, there is fruit, but the wine is better on the nose, with its tobacco, earth, cedar, cassis, herbs and blackberry scents, than on the palate with its drying tannins. This is very classic in style and will appeal more to tasters convinced that Robert Parker ruined the Bordeaux of their youth. Drink now, or age it further, but you should not expect this to get better with more age. Blown away by how good this wine is showing. Bought on release and stored in my nice cold cellar, it's been a few years since popping my last cork. Decanted 3 hours, this is a stunner. Powerful, concentrated and dense, the fruit is ripe, rich and deep. The wine really hits all the right spots and coats your palate, teeth and gums with flavor. There is freshness and layers of cassis, cigar box, tobacco and cedar. The tannins are powerful, but they are round, giving you structure and backbone, energy and length. The wine kept improving for another 3 hours. This is the vintage to buy, if you want to see what LLC offers with age. It's 27 years old, and this will be better in 5, 10 or may 20 more years. But it's a treat today, and well worth the cost for a wine at this level. We're talking fabulous aromas of Cuban tobacco interspersed with cassis, chocolate, Allspice and coffee in this Bordeaux. This wine is huge. Stunningly concentrated. Meaty but refined. Powerful, muscular and flawlessly sophisticated. Still tannic, but the tannins are very elegant. This is First Growth in quality! Still young, well stored bottles will easily last for 50 years! This is a perplexing wine. Some bottles are tight, holding its obvious charms in reserve. Other bottles are starting to open, becoming expressive. This particular bottle needed more time. Smoke, tobacco, cigar box, grave, cedar chest and cassis scents led to a full bodied, powerful, tannic wine that clearly has more to offer as it develops. Decanted for 90 minutes, the wine offered scents of tobacco, cassis, truffle, black cherry, smoke, menthol, stone and leather. Full bodied and concentrated with ripe, pure, refined, Cabernet Sauvignon, this is really starting to open up. The long, pure, velvet in an iron glove finish leaves a lasting impression. Most of the tannin has melted away. While the wine should continue to improve, there is no reason to delay popping a bottle if you have more than a few in your cellar. I've tasted this wine a lot over the years. Some bottles have displayed a longer, deeper finish. This was a good, but probably not a perfect bottle. Such is life. I'm looking forward to the next one. 1990 Leoville Las Cases makes itself known with aromatics of Asian spice, earth, fresh blackberry, caramel, cigar box, tobacco and cassis. This powerful, full bodied, rich, intense wine is polished, sophisticated and intense. It fills your mouth with strong, ripe tannins and round textures. The long, pure, concentrated finish could be mistaken for a top First Growth from a great year. Still young, this can be enjoyed today, but it’s only going to get better with time. This is probably my favorite vintage of Leovlle Las Cases at the moment. Smoky cassis, cigar ash, truffles, soil, licorice and a mélange of spice are all easy to find. Powerful, yet not demanding, this intense, regal, Cabernet wine is still tannin. But the ripeness of the tannins offers great textures. This structured, full-bodied wine ends with a juicy mouthful of ripe, dark berries, cassis, fennel and earthy flavors. Still young, this has 20-30 more years of life to enjoy. Huge, massive wine features complex aromas of cassis, wet earth and black fruit. Huge, dense, plush mouth feel makes a seemingly endless finish. Perfect balance. This remains amazingly youthful. Fully mature, medium bodied wine, blending classic character with elegance and austerity, the wine has a cassis, sweet and tart cherry, cedar, tobacco and hint of green in its character. The tannins are softened making the wine fun to drink, but the short finish and lack of depth stop the score from going higher. 1989 Leoville Las Cases offers tobacco, truffle, spice, red and black fruits and forest floor notes. Full bodied, and filled with cassis, the wine does not fully come together. The traditional finish ends with cassis and a slight hint of tart cherry. This will not improve. This offers a complex nose of tobacco, truffle, spicy cassis, and cedar. Full bodied and mouth filling, this well balanced wine ends with spice filled blackberry and black cherry fruit and hints of chocolate. Ready to drink, for people that enjoy a certain firmness and austerity and acidic touch to the juicy cassis, tobacco and cedar filled, Left Bank wine. The moral of the story is... If you just wait 30 years for some wines to come around, they just might, which is exactly what happened with this beauty. Of course, in today's world, 30 years is an insane amount of time to wait for a wine. But in this case, the earthy, forest floor, tobacco, cedar chest and cassis nose puts your squarely in the Medoc. The tannins are starting to soften and the finish, with its sweet, cherries and spicy cassis is now a treat! This is good now, better in a few years and could be one of those legendary 100 year wines in the future. The 86 could be my favorite Las Cases to drink today and that is with some tough competition with the 85, and 90!. At least this bottle was. Filled with cedar, cassis, earth and dark berries, this full bodied, concentrated wine fills palate with ripe fruit. Still tannic, but with round tannins that feel good, this wine will age better than most people reading this note. This has really come around and is showing all its fabulous charm. Concentrated, deep, fresh and juicy, with freshness, crisp, red fruits, tobacco, cedar and tobacco leaf, the fruit in the finish shows a freshness and purity that makes you want to keep drinking it. It took a while to come around but it was worth the wait. This could be the best LLC for current drinking today. Leoville Las Cases that is still young at close to 30 years of age is not all that surprising. But this is from an early drinking vintage! With an hour of air, the wine started singing its song of tobacco, cigar box, cassis and truffle. Concentrated, fresh and long, this traditional wine has another two decades of life, or more. This is the longest lived wine of the vintage. This is the best example of this famed chateau for current drinking. Filled with ripe cassis,tobacco, earth and spicy aromatics, coupled with concentration of fruit and elegant tannins, this shows great today. With ample tannin and structure to age, this will only get better. The long, powerful, cassis filled finish lasts close to 40 seconds. Earth, truffle, spice, stone, cassis, black cherry, tobacco, mineral, smoke and blackberry scents pop the moment the wine hits your glass. Full bodied and concentrated, the wine combines power with elegance, which is a difficult combination to find. The wine finishes with a long, cassis, spice, smoke and dark cherry sensation. This is probably at, or close to full maturity. There is no reason to hold this Bordeaux wine any longer. Firm, austere, classic style of St. Julien here. The nose is packed with cedar, tobacco, cigar box, ash, wet, forest floor and bright red berries. Medium/full bodied, with a rusticity to the tannins that was common in that era. Still, this is fun to taste, when you're in the mood for the equivalent of an old, black and white, movie style of Bordeaux. This wine has required a lot of patience from consumers. 36 years to be exact. However, this was worth the wait. The wine has softened, filled out and opened up. With a short decant, the cedar, tobacco and blackberry were accompanied by cigar box aromatics. Full-bodied, concentrated and complex, the wine is regal, a little bit firm and incredibly long and mouth-filling. If you have been waiting for the wine to mature, this is ready for consumption. One of the best showings yet for this long, aging wine. It only took 35 years to come around and begin to open. Worth the way? Maybe. It depends on how much you like sweet, fresh, pure, red fruits and cassis blended with tobacco, cedar, forest floor and earthy nuances. Full bodied, crisp, fresh and strict, but also regal in its bearings, this is a stunner. It took more than 30 years, but this wine continues coming around and improving. It can offer great drinking. That is, if you like a powerful, concentrated, masculine and full bodied wine with depth, tannin, crunchy, crisp cassis and an earthy, tobacco and cedar chest nose that can be summed up as a perfect example of what great, classic Bordeaux is all about. It took more than 30 years to come around, or should I say to start coming around, as clearly there is a lot still being held in reserve. But there is more tan enough earthy, tobacco, cedar and cassis to get your engines running. Long, regal, structured and crisp, I'm sure this will be even better when it hits 50 years of age. This is old school, classic Bordeaux at its best. 1982 Leoville Las Cases does not resemble a 30 year old Bordeaux wine in the color, bouquet or maturity level. It’s also probably the least consistent wine of the vintage. In the worst cases, the wine remains stubbornly tannic and displays a slight austere character. The best examples offer aromatics packed with earth, cassis, tobacco, cedar and cigar ash. Fortunately, this bottle was one of the better examples! Big, powerful and full bodied, the wine is packed with layers of ripe, earthy blackberries and cassis. Depending on the provenance, this wine has the structure and stuffing to continue to age and develop. Tobacco, smoke, cedar, cassis, earth and barnyard aromas signified a wine that should taste more developed than it is. At 30 years of age, 1982 Leoville Las Cases demands several more years for the tannins to become resolved and for the wine to fully open. The structure and raw materials are there, along with ripe fruit, the only thing missing is more patience. I'm willing to give it another 5 more years. Dark ruby in color, potent tobacco, forest floor, 5 spice, cassis, smoke and truffle scents open to a full bodied, concentrated, tannic wine that at close to 30 years of age is starting to open up. The wine ends with a long, powerful cassis and blackberry filled finish. Give it another 5 years to develop. This wine continues to baffle me with its stubborn refusal to open up and Bob's 100 Pt score. Black fruit, cedar, earth, truffle and oak make up the perfume. There is a lot of concentration in this full bodied wine. But everything does not come fully together. Deep, dark, dense but with an austere side. This is a serious wine with a lot of complexity, but, it could use a bit more charm. With additional bottle age, this will improve. Concentrated with cassis accented, black fruit, truffles, tobacco and earth, this huge wine has a lot to like about it. But it's still young and requires another decade or more before sharing all its charms. Sporting dark, purple color and a perfume of cassis, black fruit, coffee and plums. Amazing mouth presence! Thick, dense and extremely concentrated with all the right stuff. The flavors attack every nook and cranny of your palate. Cassis, ripe black fruit, anise, smoke and forest aromatics could be found with swirling. Still young, primary and tight. This is aging very slowly. Full bodied, concentrated and tannic, this wine should flesh out and come together someday. Very dark purple color. Aromatics include cassis, licorice, black fruits and spices. This wine is very dense and concentrated. But will it ever mature? The 82 Las Cases demands at least another decade in the bottle. Medium-bodied, bright, crisp red fruits are at the core of the wine. On the secondary side, the tobacco, forest leaf, earth, peppery spice and herbs add color the piquant red berry notes. Frim and crisp, with a sharp cherry/cranberry, spice and tobacco note in the finish, the wine reqires drinking. Fully mature, this excellent example of classic Bordeaux is bit on the rustic side. Still, there is more than enough to keep you busy here. The tobacco dusted, red fruit offers additional notes of cigar leaf, forest floor, pepper and green leafy scents. There is a stern side to the tannins, that with air, softens, leaving with a bite of crisp, juicy, Cabernet Sauvignon with just a hint of cranberry in the finish. There is no reason not to be pulling a cork on this wine. Firm, strict and stoic in its character, the wine is medium bodied and shows more cedar, tobacco, smoke, earth and cigar box notes than fruit. The wine is starting to dry out. Drink up. Best showing of this yet, from wines all from the same case. Rustic, yet charming in an old school way. More tobacco, green leaf, cedar chest, lead pencil, green pepper and wet earth than fruit. But there were elements of cherry able to poke through. Strict on the palate, the wine ended with earthy, red fruits and hints of green olive. Popped and poured, the wine improved in the glass, just a bit. Yes, this was how they made most Bordeaux in those days. Still, it was a nice blast from the past and it was fun to share this birth-year bottle with a friend who had just hit 50, last year. Very light in color, this was all about the nose. Smoke, tobacco, gravel, spice, earth, cigar and ash. This was not as good as the bottle. I'd avoid buying this in the marketplace for too much money and will drink up my remaining bottles over the next year or two. Ruby with amber in the color, the wine looked even older than its 45 years of age. The nose offered tobacco, earth, forest floor, smoke, cigar box, coffee and hints of cherries. Soft, light and without much backbone, this luncheon styled Claret ended with end a light, cassis and cherry note. This was a fine aged Bordeaux, without fault. It was the perfect lunch wine. This was a correct bottle. It came from the cellars of the original buyer who purchased it on release. This was popped and poured. It did not degrade in the glass for the the first hour, but it never improved. If you have a bottle, do not decant, there is not enough stuffing to handle the air. Slightly rustic with cassis, cherry notes, ash and truffle scents, the short finish displayed some tart red flavors. Better on the nost than palate, this was nothing I'd want to buy, but I was happy to taste it. With a brick like color and a beautiful, complex, earthy, spice filled aromatic profile made a nice opening gambit. On the palate the wine displayed a medium body of cherry fruit. Fully mature, this wine will probably drop fruit as it continues to age. Murky tea colored, with little discernable fruit, this bright wine offered orange, spice, smoke and red fruits. This requires drinking. Light ruby in color, the wines profile was high in acid, giving the cassis, spice, truffle and cranberry scented wine lift. Medium bodied and not complex, it was interesting drinking this at 50 years of age. When mature Bordeaux gets old, it exchanges most of its fruit for secondary aromas with truffle, forest floor, earth, cigar smoke, cedar chest and often leaves just a hint of red cherries. That is exactly what happened to this, older wine. Medium bodied and marked by high acidity, well stored bottles could last, but it is not going to improve. With a strict, powerful austere, concentrated character, served double blind, I was shocked to discover this was 90 years old! It tasted decades younger! There was fruit, albeit, the berries was hidden under the tannins, rocks, stones and cigar boxes.